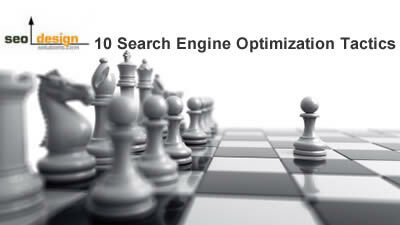 Everyone wants to know how to dig in to competitive keywords using SEO to raise their rankings systematically. Well, today we share a series of well known tactics exercised by top SEO firms that get the job done. The process of word stemming, link weight and anchor text diversity for link building are fundamental tactics that once mastered can put virtually any page in the spotlight (for its respective keyword benchmark). This brief post will help to provide an overview of how to rank for competitive keywords, but more importantly how to leverage link weight when a keywords (or group of keywords) starts to push it way to the top of the search engine result pages. Under the right circumstances, each word and each phrase on every page of your site have the ability to rank in search engines. Depending on how you prioritize the information and structure for your on page SEO factors and how those factors referenced from off page factors create a synergy to impact the end result. 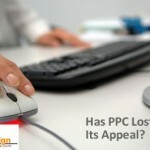 Relevance is the basis of search engines, without it, their editorial prowess is challenged. Quality content is the key to recognition. However, leverage and structure is the key to clarity and building a keyword empire. The more clear you are in building the reputation of your pages and website as a whole vs. just building links, determine to a great extent what you rank for and why. Trying to use one page as a catch all vs. just creating another useful page is a common mistake that ranks right along side stuffing tags for relevance. Dated SEO techniques such as those that attempt to inflate relevance are short sighted and tend to work against you rather than for you in the long-run. 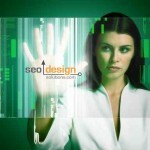 To a search engine user agent (spider a.k.a. bot) your page is merely content and links. However depending on your method for assembling key components in a coherent fashion ( such as the word choice and proximity of the anchor text, consistent titles, descriptions, h1 tags and on page theme/focus) sculpt the outcome of link weight, topical continuity and distribution of ranking potential. You will note that websites that rank for competitive terms do so since they adhere to a series of principles. These principles are based on metrics build by engineers which are influenced by certain guidelines. A High Deep Link Percentage (Linking to Sub-Pages from External Sites Instead of Home Page Prominence). High Keyword Density (to Overpower Pages with Less On Page Continuity). High All In Title Relevance (Using Dynamically Generated Pages with Consistent Titles and Slight Variations of Model Numbers and Description Tags). Any or all of these SEO tactics will produce specific effects, it really is just a matter of choosing the right method for the right circumstance and applying the method of time to measure results. Keyword placement is contingent on a number of factors, the competitiveness of the keyword or phrase, how adept your competition is at acquiring or defending their position, which websites have acquired trust or authority as well as hundreds of other metrics. The most undervalued aspect of SEO is time, much like wine, the effects get stronger over time. In summary, ranking for competitive keywords requires vision, planning, gradual link development, reinforcing the continuity or topical relevance of the keyword (using revisions to links, additional content or virtual theming) as well as clearly defined site architecture and clean code to ensure your pages are indexed. From there, it is all about relevance, so if your website lacks it, then time to go back to the drawing board and fortify your content to hone the focus of your pages. Even though we merely skimmed the tactics above, at least from there you have an idea of the diversity of methods that can all accomplish the same result (top 10 placement for your pages). 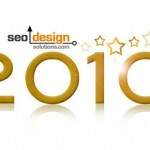 Thanks for visiting the SEO Design Solutions Blog, where you will find useful SEO Tips and tactics daily. this blogs opens many faces of SEO and i like it and will use all factors.can you tell about LSI indexing.